Palodent® V3 is a Sectional Matrix System that adapts to the natural contour of the tooth, providing predictable and accurate contacts and a tight marginal seal with minimal flash and fast finishing. SDR® Smart Dentine Replacement is a bulk fill composite that fully adapts to the cavity floor and matrix band. Its flowability and self-levelling properties reduce the occurrence of voids and bubbles, lessening the possibility of post-operative sensitivity. ceram.x® universal is a nano-ceramic composite used to finish the restoration. It fully adapts to the cavity and the SDR layer beneath it, while simplifying shade matching and finishing, creating long-lasting restorations with excellent aesthetics. Each of these products alone offers the best in convenience, handling and performance. Used together, they complement each another and provide a complete Class II solution with superior adaptability. For a composite that provides superior polish retention for long lasting restorations, try Filtek Z500 Universal Composite from 3M ESPE. Filtek Z500 will enable you to create precise restorations easily due to its shapable formula that adapts readily to cavities and margins. It also offers the benefit of a non-sticky consistency while holding its shape and resisting slump. ?????? ?500 composite can be used for direct anterior and posterior restorations, including occlusal surfaces, as well as indirect anterior and posterior restorations such as inlays, onlays and veneers. It is available in eight universal shades and one opaque, all of which match the VitaPan universal shade guide. For a truly universal composite, try Filtek Z500 from 3M ESPE today. 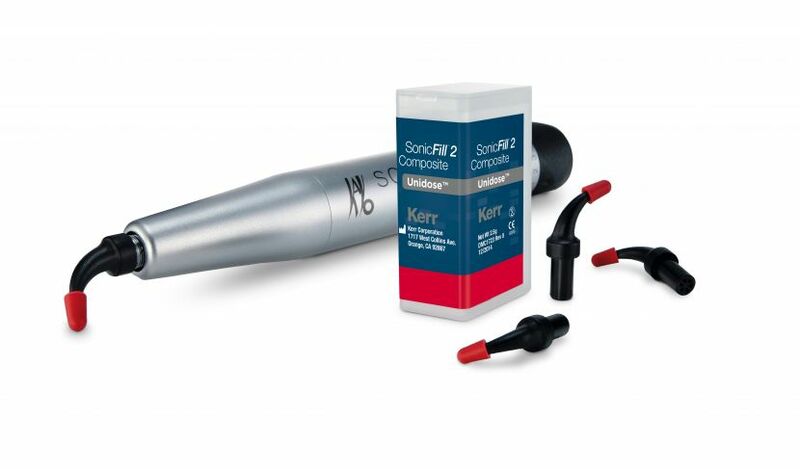 With SonicFill, Kerr provided clinicians with THE fast and easy composite filling system for posterior restorations. And now there’s SonicFill 2, which enables clinicians to perform posterior restorations with an easy-to-use, one-step procedure that provides everything you need for reliable bulk filling: the adaptation of a flowable during placement, a high depth-of-cure, low polymerisation shrinkage stress, and the strength and aesthetics you would expect from a posterior restorative. SonicFill 2’s composite incorporates a highly-filled proprietary resin with special modifiers that react to sonic energy. As sonic energy is applied through the handpiece, the modifier causes the viscosity to drop (up to 84%), increasing the flowability of the composite, enabling quick placement and precise adaptation to the cavity walls. When the sonic energy is stopped, the composite returns to a more viscous, non-slumping state that is perfect for carving and contouring. • Low sensitivity to ambient light. Kerr’s team knows that direct procedures require multiple technological solutions. That’s why we have created a robust family of universal composites with a variety of different handling characteristics and property values. Take, for example, Herculite™ XRV Ultra Flow, a medium viscosity light cure nanohybrid resin restorative that combines the long-standing expertise of the Herculite brand with an innovative flowable composite. Formulated with Kerr’s rheological expertise, Herculite XRV Ultra Flow, thanks to its Smart Placement Technology, is able to flow easily when used as a base/liner and maintain its shape when used in small restorations. The Herculite XRV Ultra range offers the best of both worlds – strength and aesthetics – to give you long-lasting, beautiful restorations. The BACD is renowned for delivering exceptional learning opportunities to its members and the extended dental profession through a full calendar of exciting events, exhibitions, conferences and meetings. Throughout the year dentists are invited to attend sessions and hear from key opinion leaders and professionals on all manner of topical subjects. This June sees the BACD host The Composite Showdown at the Royal College of Physicians in London, where dentists will deliver lectures and talks covering all aspects of composite resin dentistry. The academic meeting is designed to further improve the skills of successful composite dentists through short, concentrated and extremely informative sessions. Featuring some of the UK’s most talented composite resin clinicians, on completion of the day attendees will qualify for 7 hours of CPD. Dr Guvinder Bhirth will be among the day’s speakers, presenting his session, Know your finish before you start, which will explore technique and insights around attaining correct morphology, achieving symmetrical line angles and adjusting width and height parameters when finishing and polishing anterior resin restorations. Also leading a session on the day will be Dr Richard Lee. His short talk, Anterior layering and creation of anatomic features, will cover the advantages of layering, it will look at predictable techniques and go through the steps needed for reproducing correct primary, secondary and tertiary anatomy. Edge Bonding – Effective modes of modifying incisal form for aesthetics and function is the title of a session to be delivered by Dr Tif Qureshi. This talk will look at how simple minimal-to-no-prep composite edge bonding can be used in various situations effectively and reliably. Last but not least, Dr Nadeem Younis will explore the importance of moisture control for direct resin composite restorations in his talk, Rubber Dam(n)! Friend or Foe? 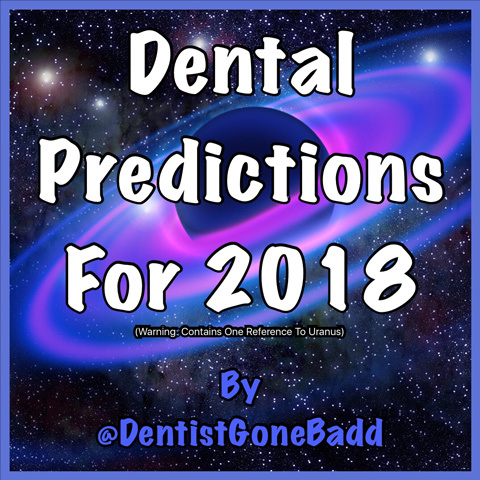 He will discuss the hurdles for the use of rubber dam, considering various techniques that will allow delegates to isolate teeth in a quick, efficient and predictable manner. 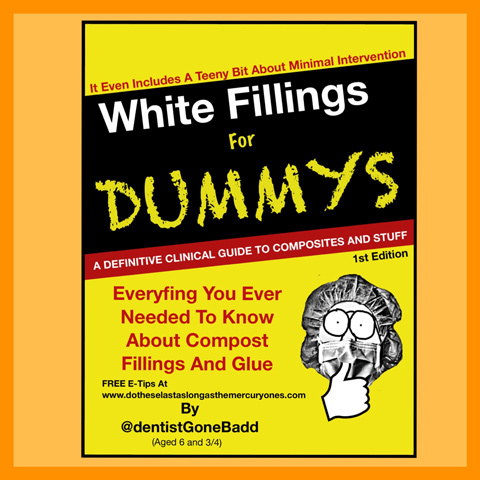 Whatever your area of interest of level of skill, the BACD Composite Showdown will have something for you. Don’t miss out on this fantastic chance to enhance your clinical expertise, book your place today!